To become a medical toxicologist, one has to obtain a medical degree, complete a residency in emergency medicine, pediatrics, or occupational medicine, and complete a two-year fellowship in medical toxicology. The professional organizations of the specialty are the American College of Medical Toxicology and the American Academy of Clinical Toxicology. 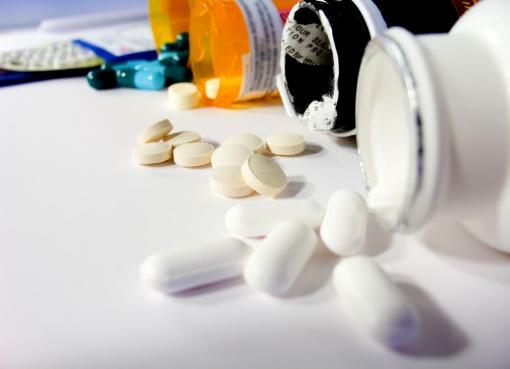 Toxicologists are trained to treat injuries and poisonings resulting from exposure to chemicals and biological agents including both legal and illegal drugs as well as environmental hazards. 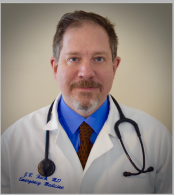 The Division of Medical Toxicology is directed by Jason Hack, MD, FACEP, a double board-certified emergency medicine and medical toxicologist for the last 20 years. Dr. Rachel Wightman joined the Division in 2017 after completing the Emergency Medicine Residency and Medical ToxicologyFellowship at New York University School of Medicine/NYC Poison Control Center. Dr. Wightman is an Assistant Professor in the Department of Emergency Medicine at Alpert Medical School of Brown University and faculty in the Division of Medical Toxicology. 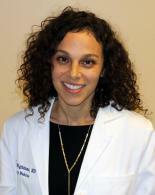 She practices emergency medicine at Rhode Island Hospital and The Miriam Hospital. Dr. Wightman graduated from Chicago Medical School and completed emergency medicine residency training at New York University School of Medicine/ Bellevue Hospital Center. She then completed fellowship in medical toxicology at New York City Poison Control Center/ New York University School of Medicine/ Bellevue Hospital Center. Dr. Wightman’s academic interests include general medical toxicology education as well as medication safety and pharmacology. Her research involves opioid use and abuse and caustic exposures with a primary focus on patient safety. The mission of the Division of Medical Toxicology is dedication to education, research, innovation and outreach in the area of medical toxicology. The Division is supported by Daniel Savitt, MD, James Linakis, MD and Bill Lewander, MD. Dr. Savitt is a graduate of the University of Massachusetts Medical School, has been an attending physician in emergency medicine at Rhode Island Hospital and/or The Miriam Hospital since 1987. Dr. Savitt graduated from the Massachusetts Institute of Technology with a BS in both Chemistry and Life Sciences. He completed his residency training in emergency medicine at the University of Cincinnati Medical Center, where he was also chief resident. At the Lifespan hospitals, he has served in the following roles: Director of Emergency Medicine Residency Training (Rhode Island Hospital), Director of The Miriam Hospital’s Department of Emergency Medicine, and Vice Chair for Medical Development, Department of Emergency Medicine. Dr. Savitt is a Diplomate of the American Board of Medical Toxicology and has been a medical consultant for the Rhode Island Poison Center and for the Drug and the Poison Information Center, University of Cincinnati. He has a longstanding interest in toxic and poisonous plants and animals and is a consultant on these topics to the Roger Williams Park Zoo. Dr. Linakis did a combined fellowship in Pediatric Emergency Medicine and Medical Toxicology at Boston Children's Hospital and the Massachusetts Poison Control System. His primary areas of interest are Lead, Iron and Toxic alcohols. He co-edited Lead Poisoning in Childhood (Paul H. Brookes Publishing Co.), and has published numerous chapters and research articles on poisoning and drug overdose. Dr. Lewander, Vice Chair is responsible for the strategic overview of PEM educational activities while participating on an individual basis in student, resident and fellow education. Dr. Lewander participates in teaching the Toxicology rotation. Dr. Warren is an Associate Professor of Medicine at Warren Alpert School of Medicine. His advocacy and research have focused on the frequent user of the emergency department and alcohol use disorders. Dr. Melanie Lippmann is an Associate Professor in the Department of Emergency Medicine at Alpert Medical School of Brown University. She practices emergency medicine at Rhode Island Hospital and The Miriam Hospital. Dr. Lippmann completed her emergency medicine residency training at Yale University School of Medicine where she also served as chief resident. Her academic interests include substance use disorders and psychiatric emergencies. She serves as Lead Physician for Opioid Overdose and Addiction Emergency Care for the Lifespan emergency departments, and is a member of the Rhode Island Governor's Overdose Task Force. The Division provides a two week-long didactic rotation coupled with a month long ‘educational consult service’ that the resident runs. The rotation, which is a required part of the Emergency Medicine Residency syllabus, introduces second year emergency residents to the care of intoxicated or exposed patients—focusing on the foundations of toxicology: The First Five Minutes, Toxidrome Identification, Appropriate use of Laboratory Testing, Familiarity with Antidotes, Decontamination Techniques, Establishing Observation Parameters, Appropriate Disposition. The rotation also includes one-on-one lectures on Caustic ingestions, Pediatric Lead exposures, Poisonous Mushroom and Marine Exposures, Toxic Alcohols Alcohol Withdrawal syndrome recognition and management. This program also trains the pediatric emergency medicine fellows and the Addiction Medicine fellows from the department of psychiatry. In addition to the frequent one-on-one lectures with toxicology faculty, the resident has an independent reading schedule, performs educational consults at the bedside of patients with toxic issues, attends local poison center rounds, and also lectures at the monthly Tox Rounds during the Wednesday residency educational conference. The Tox residents also produces a write-up about a toxicology related topic of their choice that we publish both in the division's newsletter (the Toxic Natter) and in American College of Emergency Physician’s national Toxicology Section Newsletter. (Toxicology.doc). Attendance at the monthly Tox Rounds is certified for one hour of category 1 CME credit for attending physicians. The Toxicology Division is very active in medical toxicologic research. The main research focus has been the examination of dogma or innovation to improve the management of acute poisonings or exposures. Toxicology faculty has recently presented three posters and a platform at American College of Medical Toxicology's research meeting in Puerto Rico, and five poster presentation at the New England Regional SAEM conference. The Division’s research interests are broad, ranging from projects involving the exploration of intralipid’s utility in treating exposures without effective antidotes, to reporting unique exposures and literature reviews, to the creation and implementation of a novel clinical assessment tool (the HII score) to objectively assess alcohol induced impairment in ED patients. Our recent multidisciplinary research endeavors include collecting data on CO levels in average smokers with the Division of Disaster Medicine and doing preliminary work investigating real-time visualization of intralipid's effects with the Division of Cardiovascular Research. We are also involved in research with a goal to stop the opioid overdose epidemic. The Division has been involved in the State of RI and AAA of RI initiatives to bring the number of drunk driving deaths to zero. Dr. Hack was an invited speaker and presented ‘Images in Impact’ at the Rhode Island Impaired Driving Summit, which was sponsored by the Impaired Driving Prevention Alliance and the Rhode Island Department of Transportation in August 2016. Featured blog on Living – A Lifespan Blog. “Why We Need Poison Prevention Week.” March, 21, 2017. Dr. Hack has recently been an invited speaker at Johnson and Wales, University of Rhode Island school of pharmacy and Bryant University on Toxicologic issues. We have also been active in education of members of the University on Toxicological issues: lecturing to both the Providence Center Mental Health professionals on "Bath Salts: History, Legal Path, Toxicity and Treatment;" and "Child Protective Services," on the same topic. Drs. Hack and Linakis also gave Grand Rounds at the University on "Pediatric Lead Poisoning, Revisiting an Old Nemesis," sponsored by the Department of Pediatrics and the Division of Medical Toxicology.